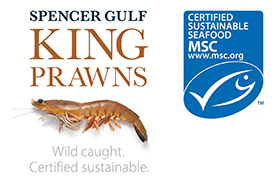 Prepare prawns by halving lengthways through the shell while partly frozen and rinse in brine or cold salty water to retain natural flavour. For the marinade, place the ingredients together in a small food processor, pulsing until mixture is a smooth paste. Place prepared prawns in a non-metallic mixing bowl and pour over the marinade, tossing until well coated. Cover with plastic wrap and leave to marinate for 30 minutes in the refrigerator. Heat a barbecue grill plate on high. Place prawns flesh side down for 1½ minutes before turning and cooking for 30 seconds or until cooked through. 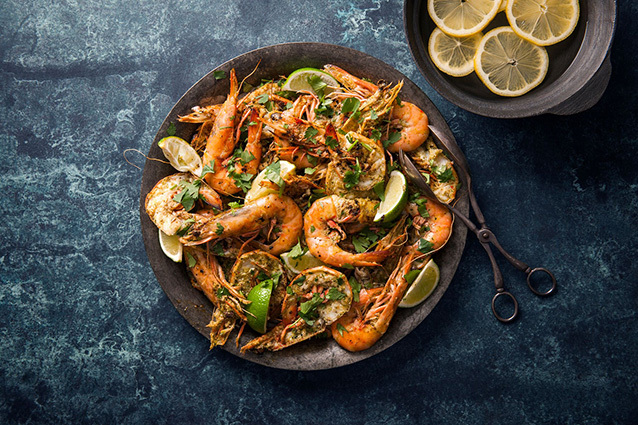 Pile the prawns onto a plate, season with soy sauce, sprinkle over coriander and serve with lime wedges.